Who Was William LaRue Weller? Long before there was a highly sought-after wheated whiskey named for him, William LaRue Weller was a whiskey rectifier who, ironically, didn’t even drink. He had fought in the Mexican War alongside Zachary Taylor after he was orphaned in a Typhus epidemic as a child that wiped out most of the Weller family in LaRue County, Kentucky. Typhus spread easily through the underground limestone aquifers where most people got their water. As his business grew, Weller hired Alex T. Farnsley and Julian P. Van Winkle as salesmen for his rectified products. 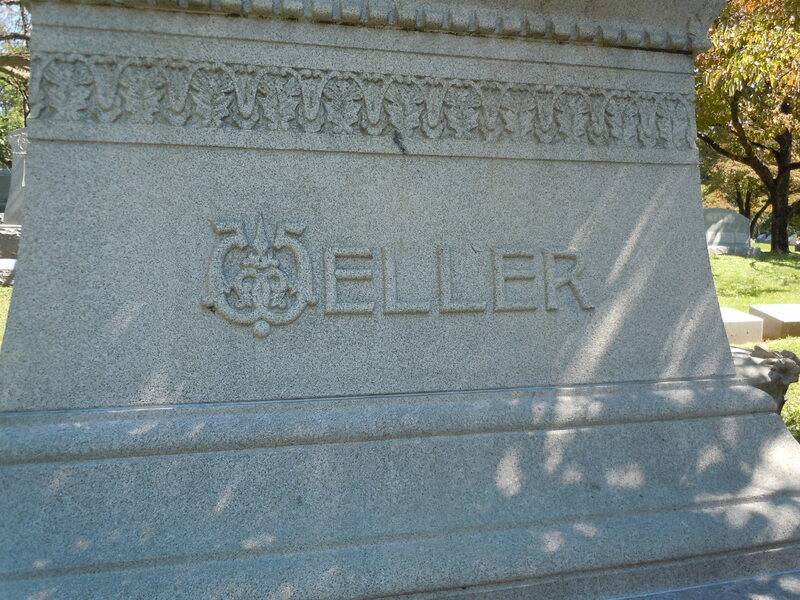 The pair would later buy the business from Weller’s sons after W.L.’s death in 1896. Weller never sold a wheated bourbon- that’s a recipe that was developed after Prohibition nearly 30 years after his death. Instead he bought his whiskey from the Stitzel brothers, who later sold whiskey to Farnsley and Van Winkle after they bought W.L. Weller and Sons. Van Winkle, Farnsley, and the Stitzel brothers merged their businesses after Prohibition was over to form Stitzel-Weller Distillery in Shively. The trio developed the wheated whiskey because they thought it would taste better at a younger age. Weller was never hugely successful, but he made some major contributions to the city of Louisville. He was one of the founding members of the Baptist Orphan Home, serving on the board for a significant portion of his life. He was the person who interviewed prospective adoptive parents to be sure the children would be going to a good home. W. L. Weller was a pioneer in the bourbon industry in Kentucky, and his mentoring of Alex T. Farnsley and Julian P. Van Winkle was probably his longest lasting contribution to the bourbon industry. Previous How Does Bourbon Relate To Louisville’s Shipping And Logistics Industry? A toast to W.L. Weller and his talent of hiring great bourbon genius. You mentioned that William LaRue Weller was orphaned as a child. His parents Samual and Pheobe LaRue died in 1954. William is 29 year old at the time and had already served in the Mexican/American War. Thanks for your comment! You’re talking about a completely different generation. This post is about the first William LaRue Weller. I think at this point there are five or six William LaRue Wellers from different generations? I’ve met the fifth. I am also speaking of the First William LaRue Weller, (1825-1899). He was named after his maternal grandfather William LaRue. I also met the fifth. He is a character. I should have said 1854. Hm, well keep in mind I wrote this two years ago, but from what I remember he was orphaned and shuffled through family members and even had to leave his education in Louisville because there was no one to pay for it anymore and he had to get to work. But I will have to check into this now to be sure I’ve got these details correct – I refer to this frequently! You are describing E. H. Taylor Jr, who was sent off to the his great uncle General Zachary Taylor in Louisana and then to an Uncle E H Taylor, from whom E. H. Taylor Jr would take his name with the permission of his uncle.